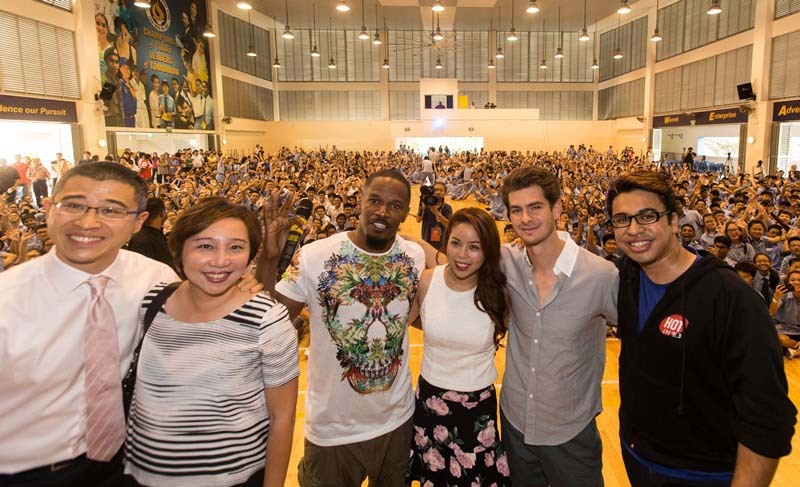 Students at Commonwealth Secondary School (CSS) today (March 28) could barely contain their excitement when two of the stars of the upcoming movie, The Amazing Spider-Man 2, made a surprise visit to the school as part of the World Wide Fund For Nature in Singapore’s (WWF-SG) Earth Hour events this year. 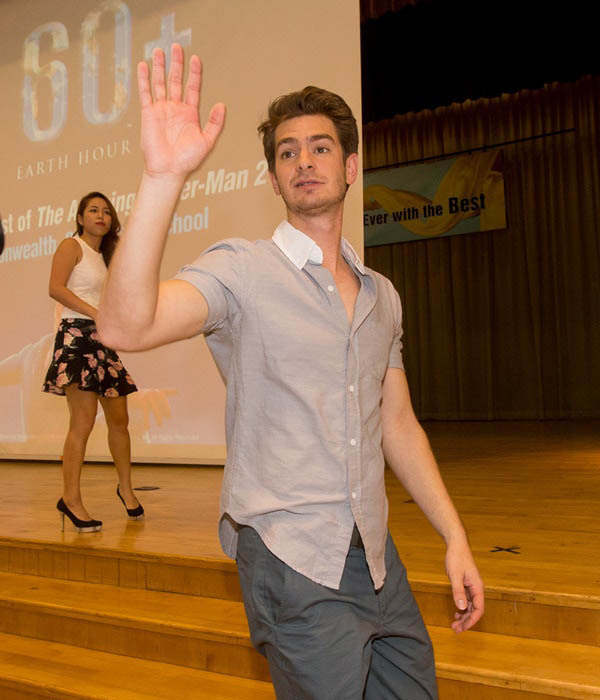 Actors Andrew Garfield, who plays Spider-Man in the movie, and Jamie Foxx, who plays Electro, were in the school to encourage local youth to engage in environmental sustainability. 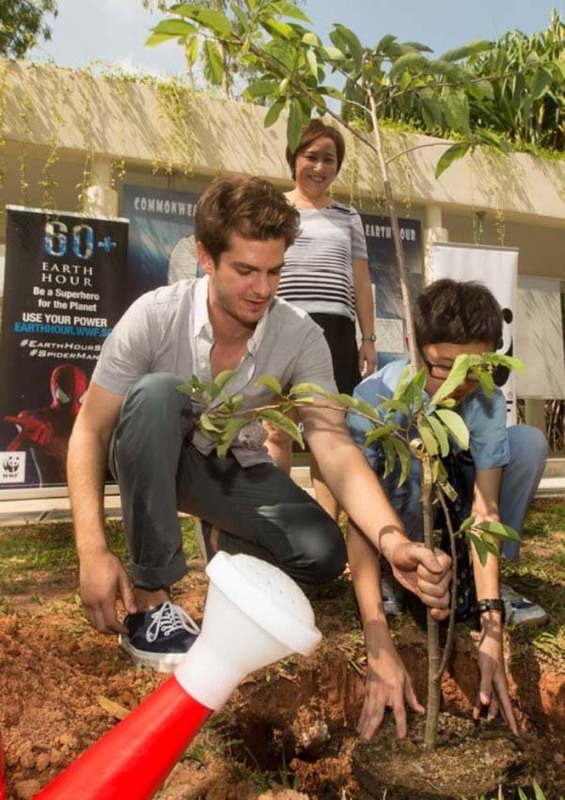 Spider-Man is the first ever official superhero ambassador for Earth Hour. 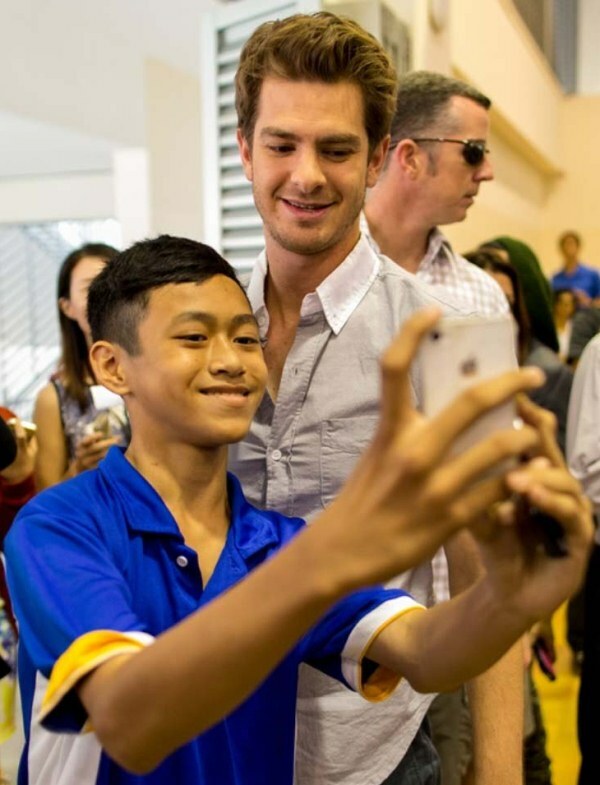 During the event, students took out their smartphones to record pictures and video of the event while also trying to get the stars to take selfies with them. 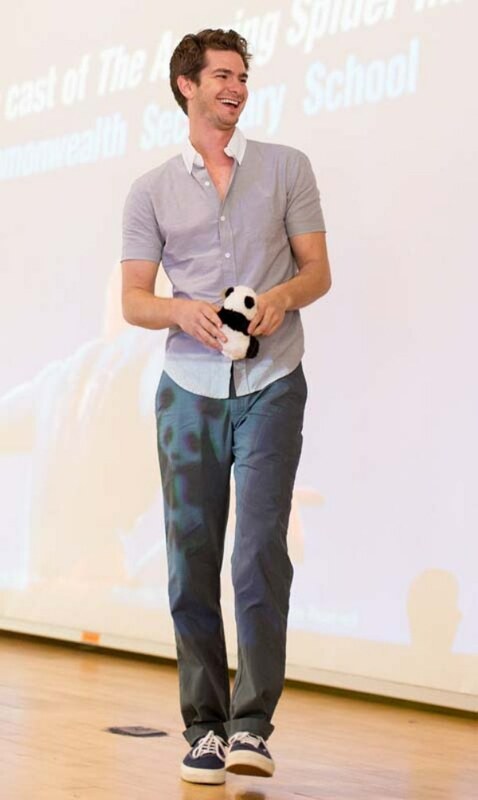 Both Garfield and Foxx watched a video prepared by CSS students, which Garfield said was “fantastic”, and the stars also gave out hats and pandas — the World Wildlife Fund’s mascot — to a few fortunate students. CSS is the “only school in the world” to have Spider-Man visit them as part of Earth Hour, says CEO of WWF-SG, Ms Elaine Tan, and this visit also helps mark the school’s 50th anniversary this year. Today’s event is one of a few held to commemorate Earth Hour in Singapore, and with such a huge reception, WWF-SG has a lot to do to top the events this year. 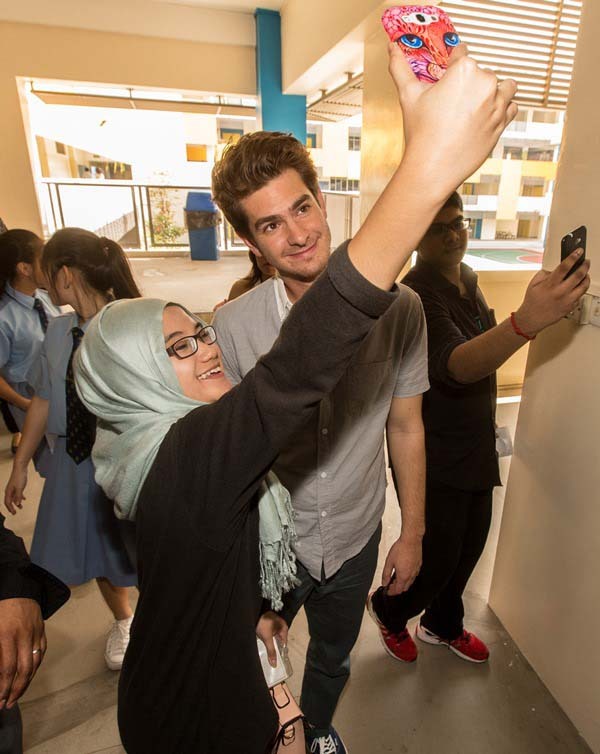 Garfield and Foxx will be joined by fellow actor Emma Stone and director Mark Webb to lead the “world’s largest Earth Hour celebration” tomorrow at 8.30pm at The Float@Marina Bay. Garfield will lead the Official Lights Out ceremony across Singapore’s signature Marina Bay skyline. Entrance to the event is free.